One of my first big series for the original artwork I'm selling online will be landscapes and cabins. I haven't explored these subjects enough over the years and I will be focusing on the landscape aspect of things more so than the cabins. The first painting I posted is this one which has already sold. 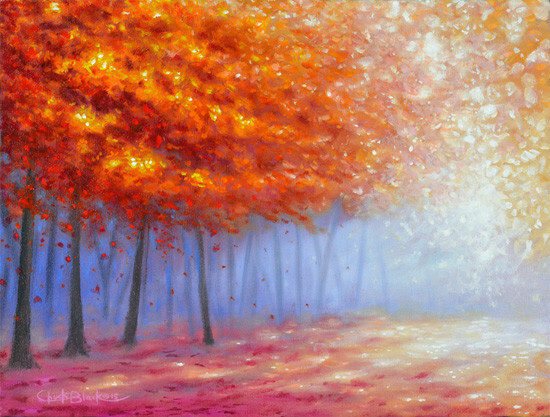 I love fall and I'll probably be painting more artwork related to the current season (s). As winter is approaching I'm also thinking about the holidays and art that incorporates snow. Snow is something that I haven't depicted in my art very much in the past and that a better time to start then now! The mountains where I live are starting to become snow-capped and I'm really looking forward to painting some winter scenes! These last two pictures are of my latest studio painting. 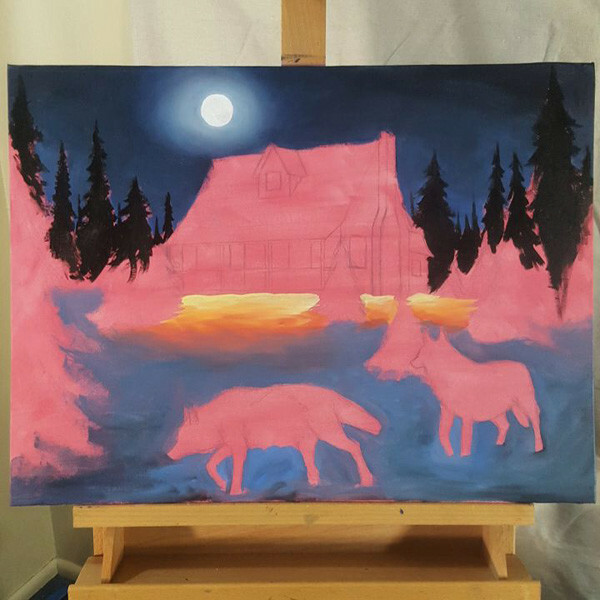 I've always loved wildlife art, but I can see my paintings beginning to head down a different road. 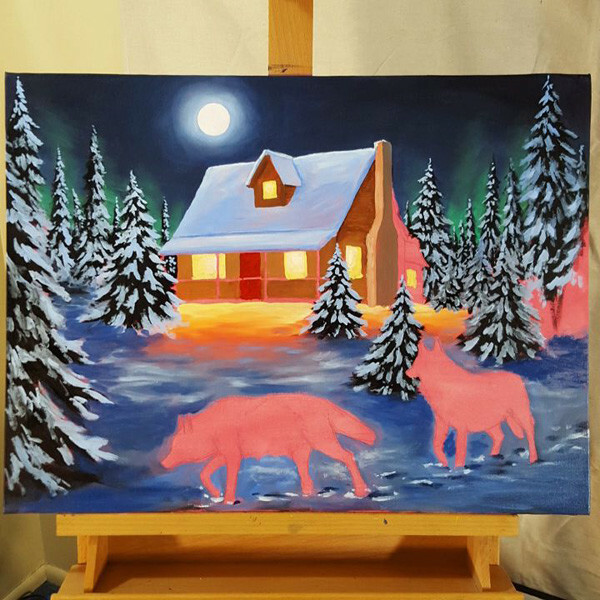 So I wanted to bring back a little of that wildlife focus into this painting hence the wolves in the foreground. I'm very excited about this particular painting so stay tuned!! !